Our salves are made from a rich combination of skin loving ingredients with additives to give them special qualities you will love! Tea Tree Oil is an essential oil that belongs in everyone's bag of tricks for good skin care. 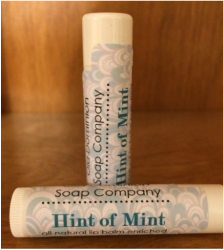 Combined with our blend of oils, olive oil and shea butter, with beeswax added, is a winner! 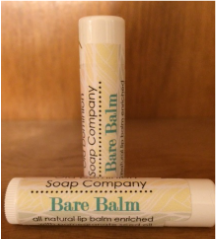 Chamomile and Lavender in a soothing salve made from olive oil and shea butter, with beeswax added. What a wonderful combination! Jewelweed, which is a native plant to Virginia, can be found blooming near riverbeds. 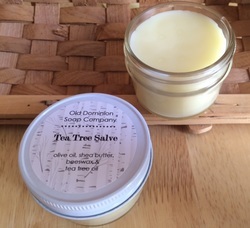 Our salve is made with olive oil, shea butter, beeswax, and jewelweed to soothe your skin.